Given the expansive and global nature of the APGI, a Leadership Executive Team has been appointed. The Leadership Team is primarily responsible for the operation of the APGI and the approval of access to material and data held by the APGI. The Leadership Team are responsible for overall strategy, direction and output for the APGI and are accountable for reporting back to the primary funding bodies regarding progress. Anthony is Professor of Surgical Pathology at the University of Sydney and current chairman of the APGI. He graduated in medicine from the University of Sydney in 1997 with the Harry J Clayton Memorial Prize for first in university in Medicine and Clinical Medicine; the Hinder Memorial Prize for first in the university in Surgery and Clinical Surgery; the Robert Scot Skirving Memorial Prize for first in the university in Medicine and Surgery and the Royal North Shore Hospital Medal. He completed his specialty training in surgical pathology (FRCPA) in 2005 and since then has divided his time between diagnostic pathology as a senior staff specialist at Royal North Shore Hospital and medical research. His research has concentrated on translating advances made in the understanding of cancer at the basic science or molecular level into diagnostic tests which can be applied in the routine surgical pathology laboratory on patient biopsy specimens. 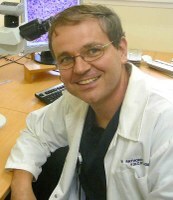 He was awarded the prestigious Benjamin Castleman award in 2011 by the United States and Canadian Academy of Pathology (USCAP) as well as the John Loewenthal Medal and a higher doctorate by publication (MD) from the University of Sydney in 2011; the NSW Premier’s Award for Excellence in Translational Cancer Research in 2013 and the Sir Zelman Cowen Universities Prize for discovery in Medical Research in 2014. The Bertalli Chair in Cancer Medicine, University of Melbourne Centre for Cancer Research, Sean obtained his PhD in pathology from the University of Queensland. 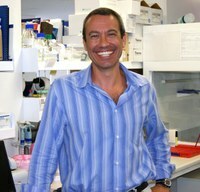 He is a founding scientific fellow in The Royal College of Pathologists of Australasia. Previous appointments include the chair of medical genomics at the University of Glasgow, co-director of the Scottish Genomes Partnership, a professor of genetics at the University of Queensland, and founding director of the Queensland Centre for Medical Genomics. Over the past 8 years, Sean has pioneered whole-genome and transcriptome analysis of cancer patients, co-led Australia’s International Cancer Genome Consortium efforts into pancreatic, neuroendocrine and ovarian cancer, and contributed cohort-based mutational landscape studies in melanoma and oesophageal cancer. His current research is firmly focused on real-time omic anlaysis of recalcitrant cancers, testing the value of personalised therapies, and further cancer genome discovery. 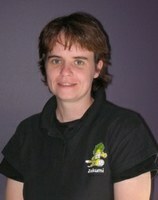 Amber is is the project manager for the APGI. 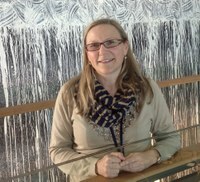 Amber’s research experience has focused on establishing and directing complex, novel, large-scale research projects. Amber’s clinical background is in pathology and cytology, and she has been instrumental in building the Australian Pancreatic Genome Initiative (APGI) which has characterized the genomes of Pancreatic Cancer patients globally. Through her clinical activities and leadership role within the APGI she has made contributions across the spectrum of management and research of pancreatic cancer in addition to scientific achievements, which include research ethics, standardised pathology reporting, tumour banking, legal and policy issues in research, quality systems development and patient support and advocacy as is demonstrated by her memberships of committees, grant support and advisory roles within major healthcare initiatives.Through the APGI, Amber developed a national pancreatic cancer biobank network, which has been a platform for a number of high-impact international Pancreatic cancer studies. Amber plays a global role in the ethical, societal and legal aspects of genomic research through her involvement in the International Cancer genome Consortium (ICGC) Ethics and Policy Committee and the Global Alliance for Genomics and Health (GA4GH) Ethics and Regulatory Working Groups. Amber’s main research interests are the return of individual research results and their implementation within clinical systems. Dr Nic Waddell is head of the Medical Genomics group and deputy coordinator of the Genetics and Computational Biology Department at QIMR Berghofer Medical Research Institute. 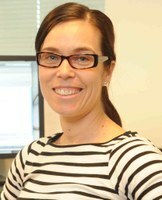 She is an NHMRC Career Development Fellow, cancer researcher and bioinformatician who is an expert in the interpretation of multiple data types, including next generation sequence data. She is a member of the International Cancer Genome Consortium (ICGC) project and has played a key role in all three Australian ICGC projects (pancreatic, ovarian and melanoma). She leads the genomics of several other cancer genome projects including mesothelioma and oesophageal cancer. Her research focuses on the identification of cancer driving events, mutational processes and therapeutic opportunity in cancer. Dr. Zeps is a PhD scientist involved in translational research in breast, gastrointestinal and gynecological malignancies. He is the Director of Research at SJG HealthCare and head of a translational research program that has established a biobank and clinical registry as a part of routine multidisciplinary cancer care. He is an Adjunct Professor in the School of Health Sciences at Curtin University, the Centre for Comparative Genomics at Murdoch University and at Notre Dame Medical School. He is an Adjunct Associate Professor in the School of Surgery and the School of Pathology and Laboratory Medicine at the University of Western Australia. He was a member of the Australian Health Ethics Committee from 2006-2012 and the Research Committee of the National Health and Medical Research Council (NHMRC) of Australia from 2009-2015. He is the chair of the Cancer Biology Group of the Clinical Oncology Society of Australia and a member of the Scientific Advisory Committee of the Australasian Gastro-intestinal Trials Group and of the Primary Care Cancer Collaborative Trials Group Executive committee. He is the Australian representative on the Ethics and Policy Committee of the International Cancer Genome Consortium (ICGC) and was recently appointed Co-Chair of the Communication Committee of the ICGC-Precision Medicine initiative. He is a member of the Accountability Working Group of the Global Alliance for Genomic Health (GA4GH). He was the Australian member of the Steering Committee for the Global Summit of National Ethics Committees (WHO/UNESCO) from 2010-2016. Dr Chantrill is a Staff Specialist Medical Oncologist at the Macarthur Cancer Therapy Centre in Sydney’s South West. She is the Clinical Director of Oncology Clinical Trials at Campbelltown Hospital and is the Principal Investigator on several gastrointestinal cancer trials. She completed her PhD in Andrew Biankin’s Pancreas Cancer laboratory at The Kinghorn Cancer Centre. She has an active interest in translational cancer medicine and is the Principal Investigator of the IMPaCT study of biologically targeted treatment for metastatic pancreas cancer. She is chair of the Upper GI working party of the AGITG and a co-chair of the APC/AGITG pancreas cancer research workshop. 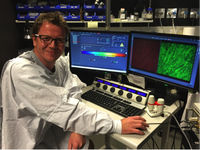 Paul is Laboratory Head of the Garvan’s Invasion and Metastasis group, focusing specifically on imaging live pancreatic tumour behavior in the context of disease progression and improving drug targeting. This live imaging work has now been correlated to TMA patient biopsy data from the APGI cohort helping translation of the groups’ findings. 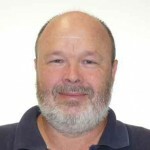 John Pearson has spent 25 years as a bioinformatician creating software for medical researchers, and has worked at National Institutes of Health (NIH), the University of Queensland and QIMR Berghofer, and was a founding Faculty member at the Translational Genomics Research Institute (TGen). John has held software development grants from Microsoft, the American Cancer Society and the National Institute of Health and has participated in the 1000 Genomes Project and the International Cancer Genome Consortium. We acknowledge and thank our past Leadership Team Members: Andrew Biankin (Chairman 2009-2015) and Peter Wilson (2013-2017) for their valuable contributions.